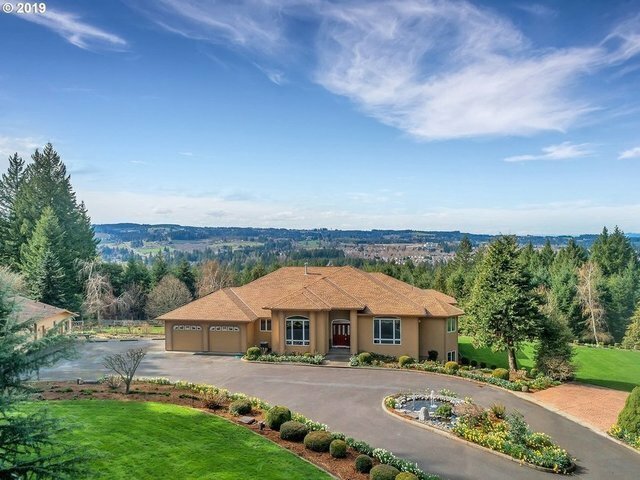 Gorgeous custom home on rare, close-in acreage. This home is an entertainer's delight! Circular driveway with pond and fountain. Open, spacious rooms, chef's kitchen boasts custom cabinetry, generous granite counter space, island, double ovens and more. High ceilings and expansive windows. Main level master retreat with private balcony. Lower level has great room with pool table, bar, sauna and large walk-in cooler. Detached shop and greenhouse. Must see! !